By buying this product you can collect up to 500 loyalty points. Your cart will total 500 loyalty points that can be converted into a voucher of ₹ 125.00. 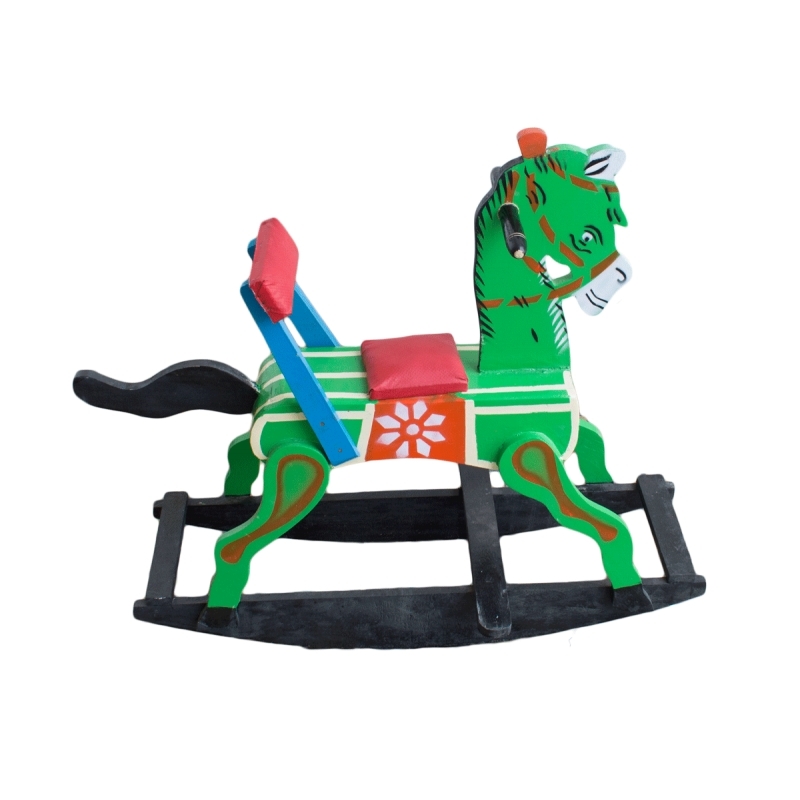 Wooden rocking horse for kids. Enhances motion co ordination skills of the kids. Crafted by traditional artisans from channapatna. 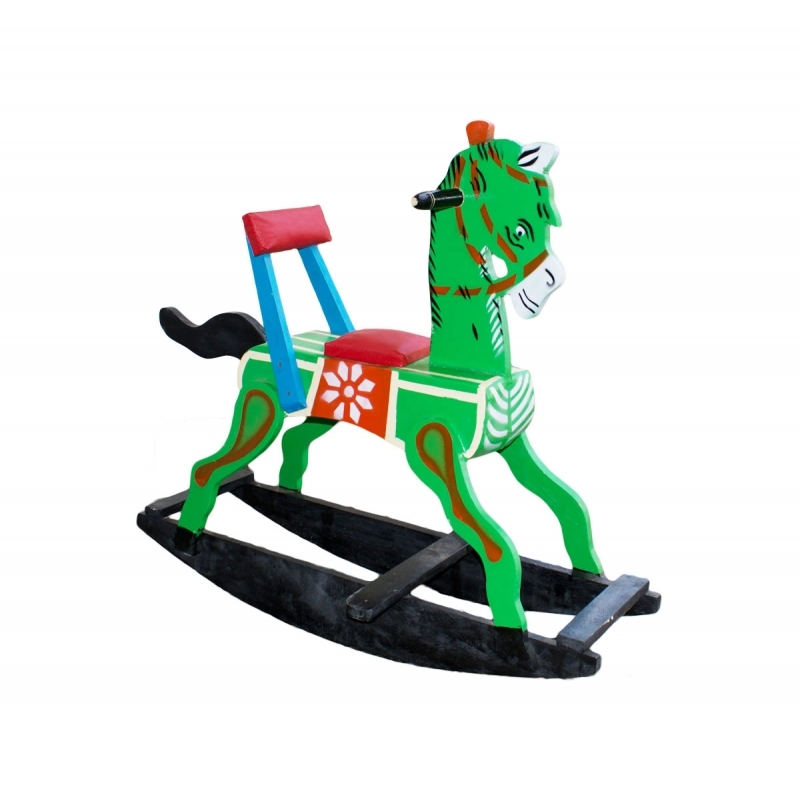 Wooden rocking horse is one of the most amusing playing toy for kids. The horse is designed in such a way to support back and forth movement with little application of pressure accordingly, and the handle bars provides for balancing the rider. 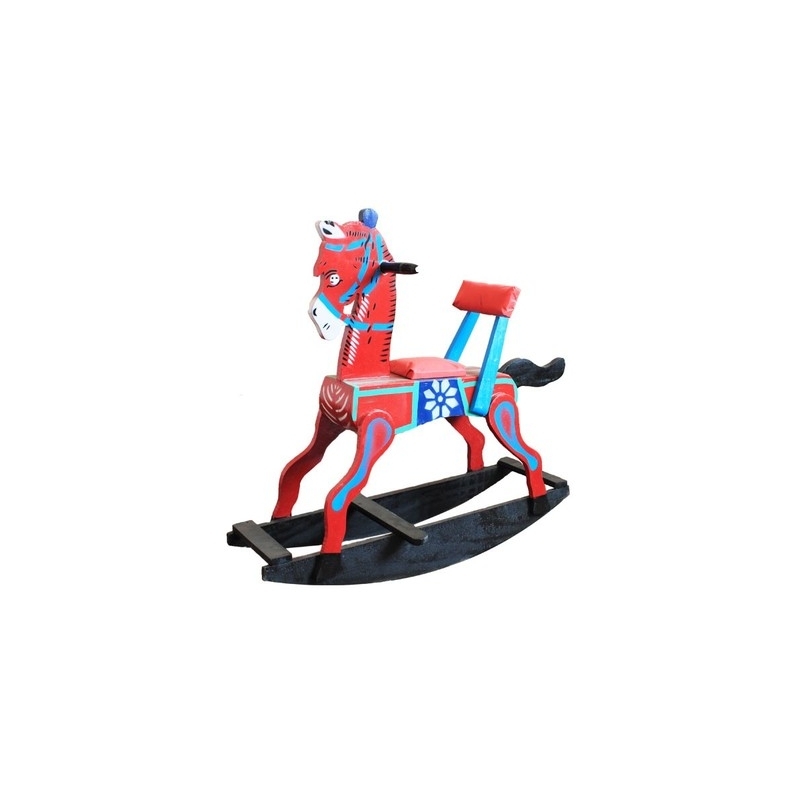 The product is made of wood and painted with synthetic colors.